of the Jews of Latvia by Max Kaufman. Yad Vashem has gathered eye witness accounts of the persecutions of the Jews of Rezekne. The Soviets occupied Latvia in June 1940 and all private enterprises were nationalized and Jewish community institutions were closed. 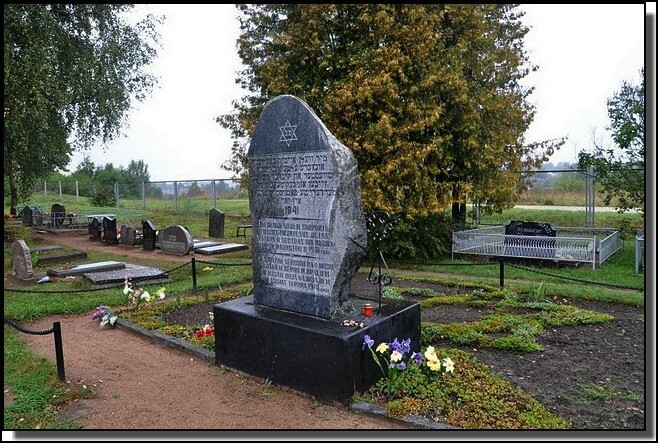 Some Rezekne Jews were arrested the night of June 14-15, 1941 and exiled to locations deep within the Soviet Union. The Germans occupied Rezeken on July 3, 1941 and with the assistance of Latvian collaborators began murdering Jews almost immediately. Watch this brief video of an eyewitness to these murders. Click here. Locations where Groups of Jews were murdered. This information is from Yad Vashem and from Lo Tishkach. Go to Maps to see locations on the map. 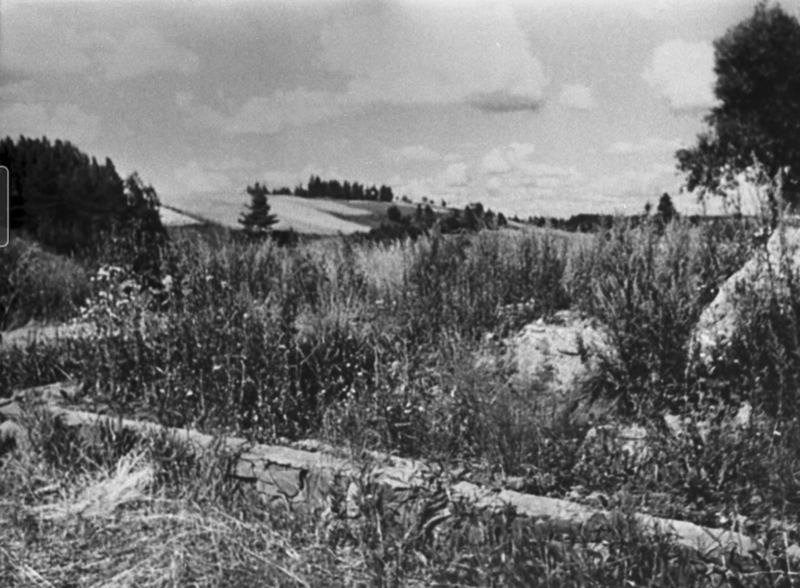 Ančupānu Hills In August 1941 a large number of Rzekne Jews who had been incarcerated in the towns prisons were murdered in the Anupnu Hills - about four kilometers from the town. On August 23 the final local mass murder operation against the Jews began. The Germans and their Latvian collaborators took a large group of Jews, some on foot and some by truck, to the site, where they were forced to undress and then shot. On November 15, 1941 an additional group of Jews was taken to the site and shot. Among them were a woman who had been baptised and her two adult daughters from a mixed family. Jews from other places in the area were also killed in the Ančupānu Hills, as were many people of other nationalities, including Roma and Latvians, along with Soviet prisoners of war. In April 1944 the Germans exhumed the bodies of the victims and burned them. Monument remembering the Ancupanu Murders. The memorial statue in its setting. Diagram of location of Ancupanu Hills murders. Jewish Cemetery During July 1941 the Germans and local policemen took groups of Jewish men who were incarcerated in the prison to the Jewish cemetery, where they were shot. On August 3, 1941 the Jewish women, children, and old people who had remained in the town were also imprisoned. On the next day the Germans began taking them in groups from the prison to the Jewish cemetery. Over a period of ten days, under guard by local policemen, they were taken on foot or by truck to the cemetery, where they were forced to undress and then shot. 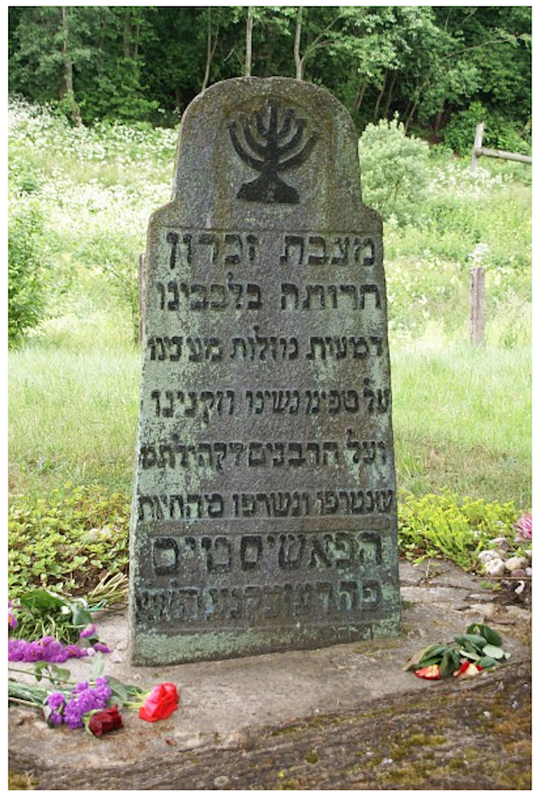 Approximately 2,000 Jews, a majority of Rzekne's Jews, were killed in the cemetery. In April 1944 the Germans opened the mass-grave and burned all the bodies. 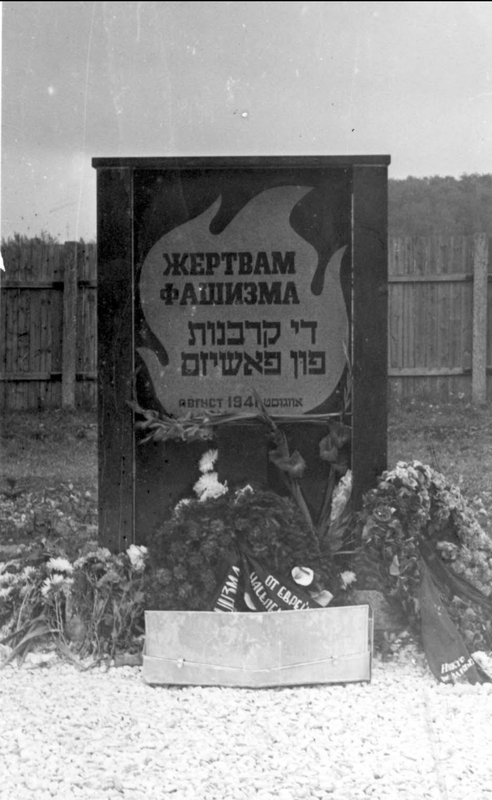 Translation: We mourn, and with tears from our eyes, the engraved in our hearts our children, women, and adults and the Rabbis of our congregation that were preyed upon and burned by the Fascist animals here In REZEKNE, Latvia. Translation by: Esther Rechtschafner. 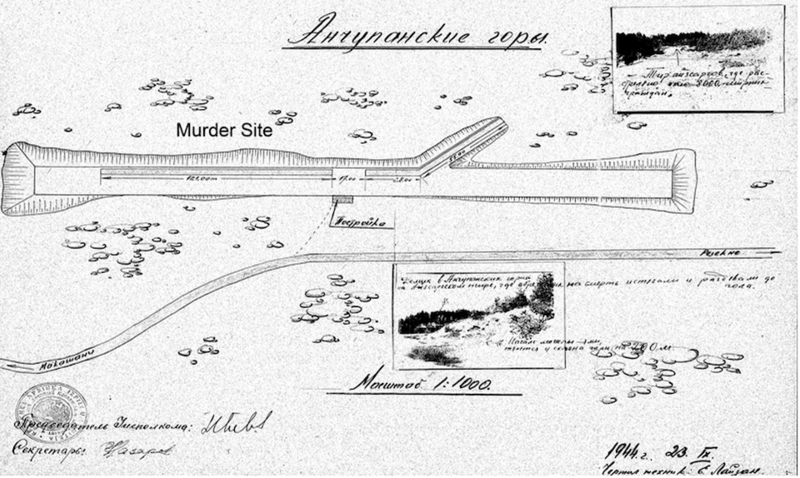 Diagram of location of mass burial site at the bottom of the ravine below the Jewish Cemetery in Rezekne. Translation: "We will forever mourn our parents brothers sisters and children who died at the barbarian fascist hands in the year 1941." Translation by: Esther Rechtschafner. 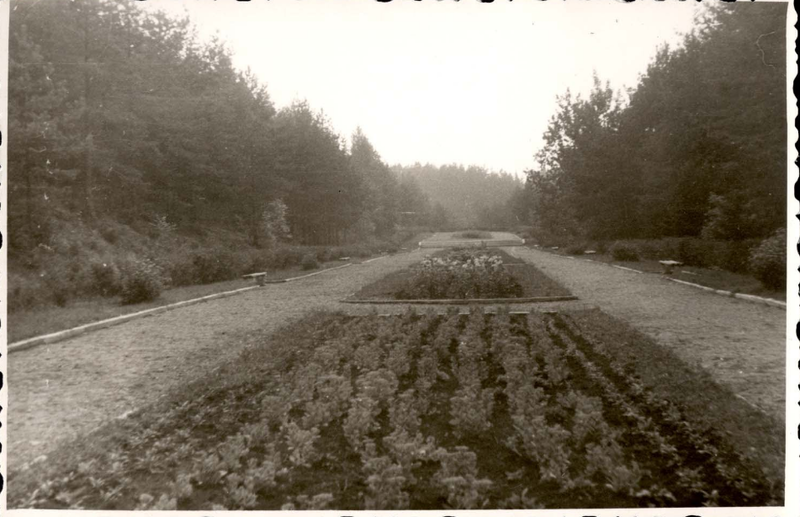 Leščinska Park Early in the morning of July 15, 1941 members of Einsatzkommando 1b (of the Einzatzgruppe A), commanded by Erich Ehrlinger, with the assistance of local policemen, took between 100 and 120 Jews to the towns park, situated not far from the Leinska mill. The owner of the mill, together with his family, had been deportated to the Gulag by the Soviets in June 1941. The local authorities considered the killing of the Jewish workers from the two main factories of the town to be revenge for the deportation. The Jews were shot at the site and buried in a pit that had been prepared in advance. Click on photos below to see larger version. Monument remembering the Lescinska murders. Diagram of location of Lescinska murders. The location is at the corner of the interesection of two streets near the edge of the Rezkne River. NKVD building On July 9, 1941 (according to other sources, July 5), members of Einsatzkommando 1b collected local policemen at the former NKVD building. About 30 strong young Jewish men were then brought from the prison. On orders of the SD the Jews dug up between ten to thirty bodies of local people, including members of the local Latvian intelligentsia and former Latvian policemen, who had been killed by the NKVD before the Soviets left the town. The Germans wanted people to believe that Jews had killed these people and to encourage local policemen to actively participate in the ensuing murder operation against the Jews. One member of this group of Jews, 18-year Yosl Silno, jumped over the fence and tried to swim across the river, but was shot. Boruch Veksler, a 30-year old pharmacist, poisoned himself. The SS-men beat the other Jews to death. The murdered Jews were buried at the same place where the NKVD victims had been buried. In accordance with the order of a German officer, only Khanon Izraelit, a dental technician, was returned to prison. Visit this link to see and hear eye witness testimony of the NKVD murders. 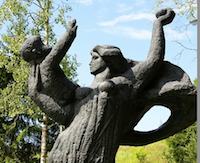 Massacre in Audrini Audrini has been an administrative centre of Rezekne region since 1990. Before the Second World War, Audrini was one of the villages in Makaseni parish populated by old believers. In early January 1942, the town containing orthodox Christians was burned to the ground. Its occupants were shot, including women and children. The responsible Nazi collaborator, Boleslavs Maikovskis, lost an appeal against denaturalisation in the US in 1985. He eventually fled to Germany and died in 1996 without serving time for his crimes. However Maikovskis acknowledged that the killings took place. -- Visit Maps to see location. ChGK Soviet Reports The Yad Vashem Archives hold a vast collection of documents amassed by the Soviet Extraordinary State Commission (ChGK). Visit this link to read the report of the ChGK from October 9, 1944 which contains a description of the mass murder of the Jews in Rzekne. It is the testimony of Ivan (Jan) Matusevi, who was born in 1906, a Righteous Among the Nations (he rescued Chaim and Yakov Izraelit). Written Testimonies of eye witnesses to the murders.... About fourteen days after we came to Rzekne, the SS appeared. They belonged to the famous Security Police. They had SD initials on their sleeve. We, from local garrison headquarters, lived right across from the city [town] prison. We could, after the arrival of the SS, observe in detail the happenings that took place in the prison. At first the Jews from Rzekne and the vicinity were brought together. There were people of all ages, the gray ones and babies. Among them were also women and children. The people were pressed together like sardines in a can. They were so closely compressed that nobody could topple over. One day, it was about 4:00 or 5:00 a.m., we were awakened by shots. We ran outside and then to the headquarters. From there we went to the place from where the shots were coming. We saw there that people had dug a pit (a huge grave), and that people had to kneel before the ditch. Then they received a pistol shot from the SS in the back of their heads. Those that were not dead the Latvian soldiers had to finish off with rifle shots. The people were killed by the SS with pistol shots. As we found out, the people were subordinated directly under the Reichssicherheitshauptamt in Berlin. Written Accounts 5,000 Jews were murdered in Rezhitsa [Rzekne] Moscow (Jewish Anti-fascist Committee, Haaretz Special Service). 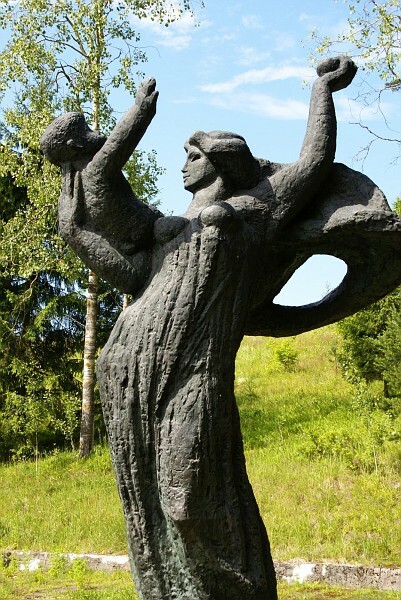 Before the war the Latvian town of Rezhitsa (Rzekne) had 6,000 Jewish residents among a population of 25,000 people. In the years that preceded the war the town grew and took pride in its many new buildings. Now Rezhitsa is unrecognizable. Four days before the Red Army marched into the town, German vandals set more than 70 percent of all the towns buildings on fire. The main streets have became ruins. Of the 5,000 Jews who remained in the town when the Germans invaded, only 3 were saved.